Popups, Actions Bars, Notifications, Messengers…. What are the thoughts that spring in your head when you hear these words? Are you downright against them? Totally convinced that they absolutely work? Just plain “can’t care less…”? People often have a very closed perspective when it comes to using popups, notifications, messenger, action bars etc. They find it to be irritating and cliché. While promoting Icegram, we faced some similar reactions. Boy! We got mixed reactions on Quora. There are lot of people who do not like popups and other such banner messages. They think they are annoying and distracting. We believe there is great power in these messages. The purpose of these messages is to attract the visitor. They are based on well research science and they truly deliver. What is important is to use them judiciously. 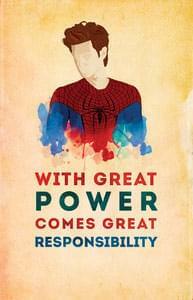 With great power comes great responsibility. Using popups or messengers to push your site visitors will certainly leave a bad taste. But gently guiding them to something of value to them, will not only establish trust but also win hearts! We are eager to know your opinion about popups, actions bars, notifications and messengers? Are you in favor of these messages or do you feel its pure noise? Leave a comment, vote them and share your feedback!